We attended an interesting talk yesterday in San Francisco by Fritz Haeg put on by the Garden Conservancy and held at Flora Grubb in San Francisco. His Edible Estates project was an interesting project undertaken at 9 residential homes across the country to tear out front lawns and plant vegetable gardens in were the landscape was previously dominated by little used front lawns. Haeg’s ideas were to promote gardening, highlight discussion and debate about how we use residential landscapes, and how lawns are often traditionally used as filler with no real practical usage. An interesting lecture and an idea that promotes sustainable and local food production. His work on the project in chronicled in his book, Edible Estates: Attack on the Front Lawn, well worth a look. We updated our event listings- both in our landscape discussion board calendar and in our blog posting of good places to find garden and other related events in and around Marin County. alternatives, Waters offers many beautiful and eco-friendly options. Cost is $10. No reservations necessary. Advance screening of a new documentary about the largest urban open space in the country. The filmmakers will be in attendance. In conjunction with our new discussion board, we have posted an events category with a calendar of events. You can find information on garden, design, and other related events in and around Marin and the Bay Area. I had the good fortunate to visit the Legion of Honor Museum in San Francisco on the opening weekend of the new Monet in Normandy Exhibition, a showcase of over 40 paintings for museums and collectors around the world. 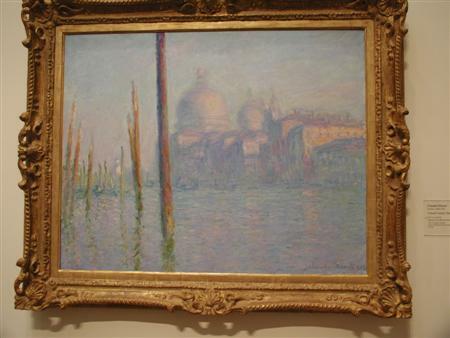 Monet had a wonderful talent for capturing light and landscapes and the exhibition shows a great variety of his work from nearly 50 years of painting in the region. Check out our images of Monet’s home in Giverny in our Great Gardens and Parks Portfolio. Magazine has a great list of what is happening in Northern California. Design Online has a great listing of events for the East coast. 9:30 to 11:30 am, Filoli. Fee $35; pre-registration required. pre-registration required at 510/531-8122, www.nativeplants.org. Patrick Garretson, Solar Living Institute. Fee $120; pre-registration required. nursery, San Francisco Botanical Garden Society. Garden Club, www.invernessgardens.org. Tickets $40; pre-registration suggested. Cornerstone Festival of Gardens, 23570 Highway 121, outside the town of Sonoma. location of Fort Mason where the show used to be held. must have magazine for gardeners and horticulurists. Botanical Garden Society. Fee $115; pre-registration required. pm, UC Santa Cruz Arboretum. Fee $15. Elizabeth F Gamble Garden. Fee $25; pre-registration required. Regions, lecture with David Fross, 7 pm, Western Horticultural Society. pm. Call for schedule of events. 6:30 to 8:30 pm, Elizabeth F Gamble Garden. Fee $25; pre-registration required. Gibbons, 7:15 pm, California Horticultural Society. Biggs, 7 to 9 pm, The Marin Art & Garden Center. Fee $5. Society. Fee $165; pre-registration required. Botanical Garden Society at Strybing Arboretum, 415/661-1316 x303. Botanical Garden Society. Fee $5; pre-registration required. the Gazebo, UC Davis Arboretum. lecture with Ron Bracewell, 7 pm, Western Horticultural Society. D’Amato, 7:15 pm, California Horticultural Society. Francisco Botanical Garden Society. Fee $15; pre-registration required. Native Plants Society. Free; register at www.GoingNativeGardenTour.com. 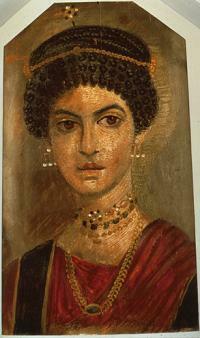 Example of Fayum Mummy Portraits (Portrait of a young woman, A.D.
Around the Bay Area and Marin check out these websites for some interesting garden (and other) related events.